Senior MKs and party leader Avi Gabbay get into shouting match at party event as collapse in the polls continue. 'I'm not leaving my post'. The internal strife within the Zionist Union party shows not sign of letting up as recent polls show the faction sliding into the single digits. On Thursday, a shouting match broke out between Zionist Union Chairman Avi Gabbay and MK Eitan Cabel at regarding the future of the faction. Cabel, a senior Zionist lawmaker, told Gabbay that his leadership is destroying the party. "No one wants to get rid of you, no one wants to hurt you. We love this house. We all want you to succeed, but no one wants to be unemployed and not to do anything for the country" said Cabel. Gabbay responded by defiantly stating that he had no intention to step down. 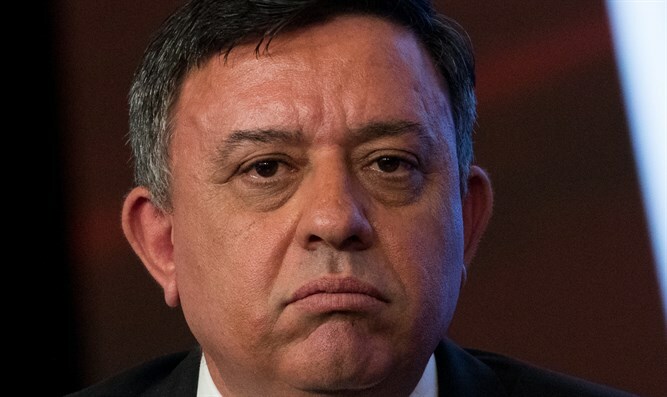 "Let it be clear to everyone: I have no intention of leaving from here," Gabbay told Cabel. "No public pressure will work on me. The public's opinion doesn't influence me. I'm here and I'm not going anywhere." "I've got a mandate to lead the party and I'll lead it, and I have received a full mandate from the public." "I apologize, but I hoped it would not be your answer," Cabel responded. Gabbay went on to accuse Cabel of leaking reports of the Zionist Union's internal turmoil to the press and for giving the party a bad name. Gabbay alleged that Cabel was the source of a news story earlier this week reporting that Zionist Union members were calling him a "work accident" behind his back. Since then, however, the party has lost ground in nearly every poll. A Hadashot poll earlier this week showed the party gaining only 12 Knesset seats, a steep decline from its current 24.